Share this product and receive a $0.69 sharing discount. A perfect complement to our Cross Dinnerware Set. 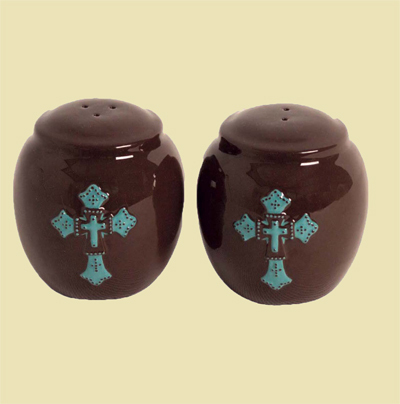 Chocolate & Turquoise Cross salt and pepper shaker set. 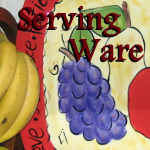 •Each shaker measures 3" x 3.125"